Since we already discussed laws protecting your rights to combine work and pumping, lets figure out how to make pumping at work easier in practice. My personal experience showed that pumping doesn't always work for everyone. Let alone pumping at work - far from your little one and under some space and time constraints. When I returned to work after the maternity leave and tried to alternate between work and pumping, my milk supply dwindled. I managed to make it through one month after my return. My milk supply continued to drop. And since I felt very strongly about breastfeeding my son, I decided to quit work. Luckily I was able to do so. This is just one possible scenario. I know and have personally seen many women pump successfully with half the effort and in half the time that it took me. I wish you that! Even though my pumping experience was far from perfect, several things and accessories made it better, more comfortable and helped avoid unnecessary surprises. Here is my list. Feel free to add whatever you can think of in the comments section and I'll be happy to include it in the article. Find out if your company provides a hospital-grade multi-user pump. If it does, then they most likely carry the collection kits that you can purchase. You can also purchase a collection kit at a local store. Important: Rental pumps are the only ones safe to use by multiple users. They are built so that the expressed milk doesn’t come in contact with pump parts, just the collection kit. If your company doesn’t offer pumps, get a good personal use double electric pump. It is always a plus, if the pump has an option of running on battery, in case there is no power outlet in the room. Getting a double pump will save you time and effort. Pumping both breasts simultaneously cuts pumping time in half. Medela pumps are the ones that I used myself and liked and, therefore, I recommend them. Here is my Medela pump review. If your pump doesn’t come with a bag, or if it does, but you want something a little more classy and not screaming: “I am here to pump”, I recommend checking out this great pump bag. It was designed by a working mom. 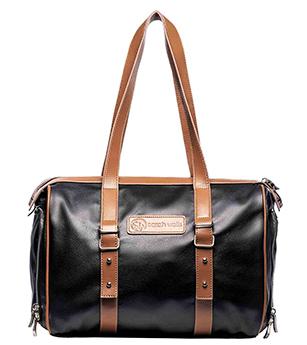 Its functionality and look makes it a perfect personal bag too. Here is my review (and a video-review). To successfully combine work and pumping, remember that you need to wear something that gives you easy access to your breasts. Go for comfortable bras and no one-piece tight dresses for now. Shop our store for products we tested and loved. You will need to pump as often as your baby eats, which is about every 2 hours. So during a typical 8.5-hour day you will need to have 3 pumping sessions. Wonder how many containers you need to take with you? Estimate how much milk you pump in one session, multiply by three, add to that 1-2 extra containers and you should be good to go. It is recommended that you cool down fresh milk before you mix it up with what you previously pumped and already cooled down. That’s why I say 1-2 extra containers. You can use these containers to cool down fresh milk, before you add it to whatever you already have in the fridge. If for some reason your company offers a lactation room with no dividers (which is a violation of the law! ), a privacy cover can add some comfort. Your employee may provide some paper towels for you to clean after pumping. A sink is an add-on, but not an obligation as far as the law goes. It is always good to have some wipes with you for cleaning your breasts and some to clean your pump and accessories after pumping. Try This Trick: If you are unable to clean the parts of your pump that were in contact with your milk right after pumping, the safest way to go is to place the tubing, the shields and the connectors in the same bag where you keep your milk bottles in the fridge. This way the milk left inside the accessories won’t spoil and you can use the parts for the next pumping session. Pumped milk should be kept in the refrigerator. It is ideal if the fridge is inside the lactation room, but it is not a requirement according to the law. 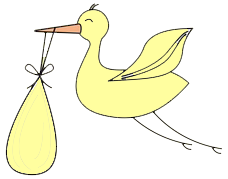 Read about lactation room requirements here. In any case, a cooler bag will help you keep all your bottles in one place (especially if the fridge is public). Secondly, this cooler bag with an ice pack in it is how you can safely transport your pumped milk home even on a hot summer day. It is advisable and also common sense that there is a power outlet in the lactation room that your company provides. But if for some reason you have to pump “power-less”, you will have to use your battery block. Having an extra one just in case is a good idea. You should be able to bring in your own music player, turn on the radio on your phone, bring a nice book or a baby magazine to read - anything that helps you relax and doesn’t bother other moms around you (if any). Some rooms I saw have a little audio player. You can even bring a neck pillow and take a nap while pumping. Yes, I mean it. With my double electric pump, hands-free bra, a nice little pillow and an alarm set to wake me up in 15 minutes, pumping time was also my best nap time. If this seems odd to you, you are probably still pregnant. Come back to this section after you have your little one. You'll realize how much a 15-minute power nap during the day can do! Especially during the most stressful days at work and so far from your baby, milk let-down may not be as easy as it is at home. Smell, image, touch or voice of your baby may make all the difference. Don’t be shy. Bring it in: a blanket, a photo, a voice recording. Nobody needs to understand. So smell, touch, listen and look all you want until you feel the milk flowing. I hope this list will help you same way it helped me when I was returning to work and pumping. Prepare in advance and you will succeed!